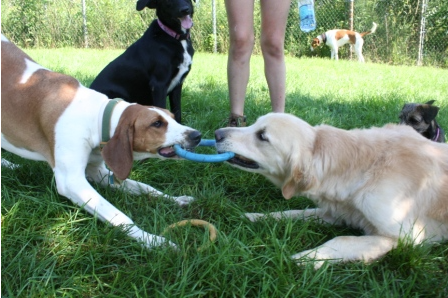 Time to play at Four Paws Playground doggie daycare! Dogs are social creatures — they love to be with people and other dogs. They like to play and run outdoors. 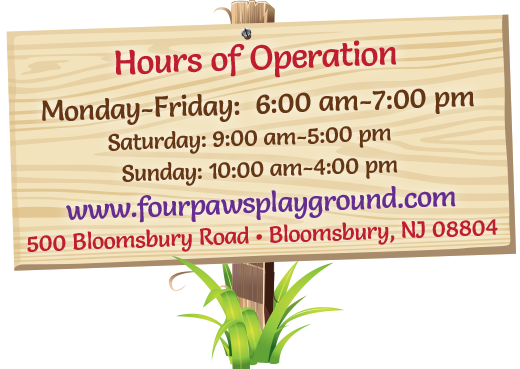 When you need a secure and fun place for your dog while at work or traveling, call Four Paws Playground. 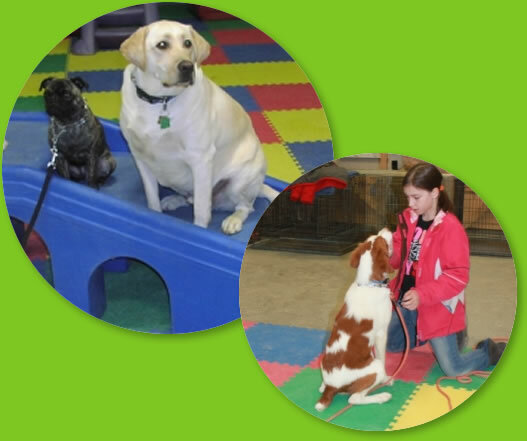 We cater to your dog’s every need, offering secure doggie daycare, crateless boarding and positive training classes, serving the Phillipsburg, New Jersey and Easton, Pennsylvania areas. Playtime! Everyone loves playtime at Four Paws Playground. 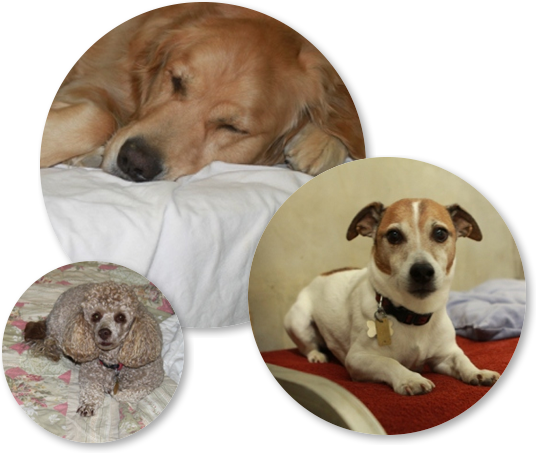 We carefully place each dog in a small group of compatible friends, based on size, age and physical and mental abilities. Our guests get plenty of fresh air romping on our 1.5-acre outdoor play area outfitted with tunnels, ramps, doggie gyms and toys. When it’s raining, we move indoors where our guests have 4,500 square feet of play area complete with play stations. Our staff supervises your dog at all times. Personal attention. While your dog is a guest at Four Paws Playground, he receives plenty of personal attention and cuddling to make him feel comfortable and confident. On his first visit, we gently welcome him to our playground and gradually introduce him to his new four-legged friends. Safety. Safety is our first and primary concern when it comes to taking care of your dog. Most importantly, staff supervise dogs at all times. 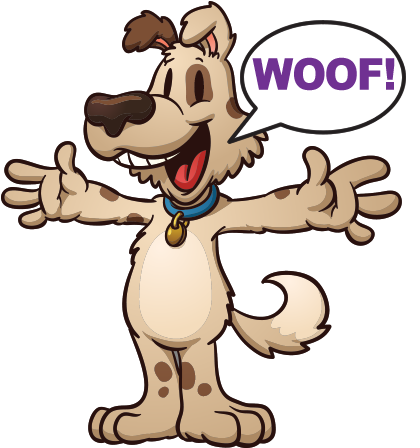 Our outdoor play area has reinforced fencing and a wide variety of dog-friendly areas. Throughout the day, your dog has access to fresh water. All staff members are certified by the American Red Cross in animal first aid and CPR and we have a working relationship with all area veterinarians. 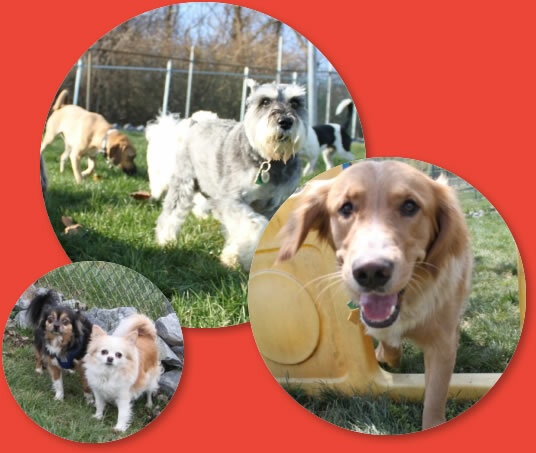 Every day is a fun day at Four Paws Playground doggie daycare. We greet you and your dog as early as 6 a.m. Once your pup is comfortable with our facility, he joins his canine friends for plenty of group play and fun on our spacious playground. In between romps, your dog has a chance to take a break from play for fresh water and naptime. When your day is done, your dog is happy and eager to relax with you at home.